The USS Arizona (BB-39) burning after the Japanese attack on Pearl Harbor, 7 December 1941. USS Arizona sunk at Pearl Harbor. The ship is resting on the harbor bottom. The supporting structure of the forward tripod mast has collapsed after the forward magazine exploded. attacking the United States carriers who were not in port on the day of the attack. 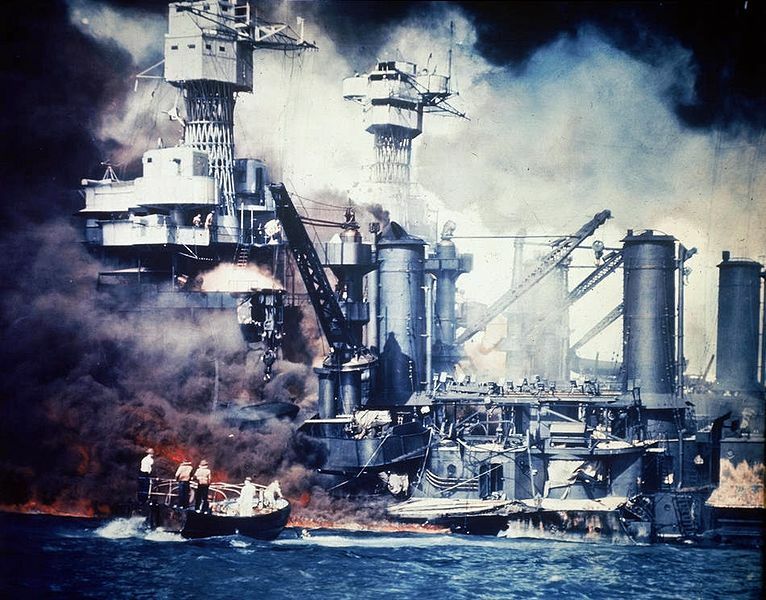 This article focuses on highlighting many of the Pearl Harbor facts that have emerged over time as Americans continue to remember those who sacrificed their lives in service of the country on December 7th. The Japanese sent two waves of attacking forces to strike Oahu. The first wave of aircraft consisted of 183 aircraft that included 43 fighters, 51 dive bombers, 49 level bombers, and 40 torpedo planes. The subsequent attack wave would consist of 170 Japanese aircraft. 54 of the aircraft in the second wave would consist of level bombers, 36 were fighters, and 80 dive bombers. In total, more than 350 Japanese aircraft were used in the attack against Pearl Harbor that took the United States by surprise. 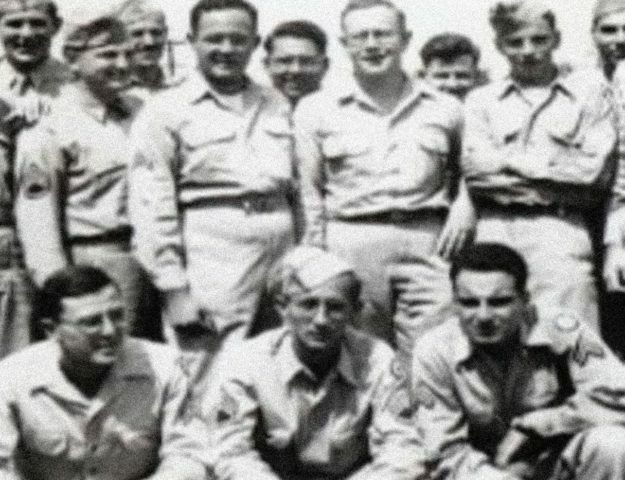 More than 2,000 American servicemen would lose their lives in the attack. The following is a collection of 24 facts about the attack on Pearl Harbor by the Japanese Imperial Navy during World War 2. There is not attempt to label the facts in any order of significance. Please feel free to add your own facts in the comments section of this article. 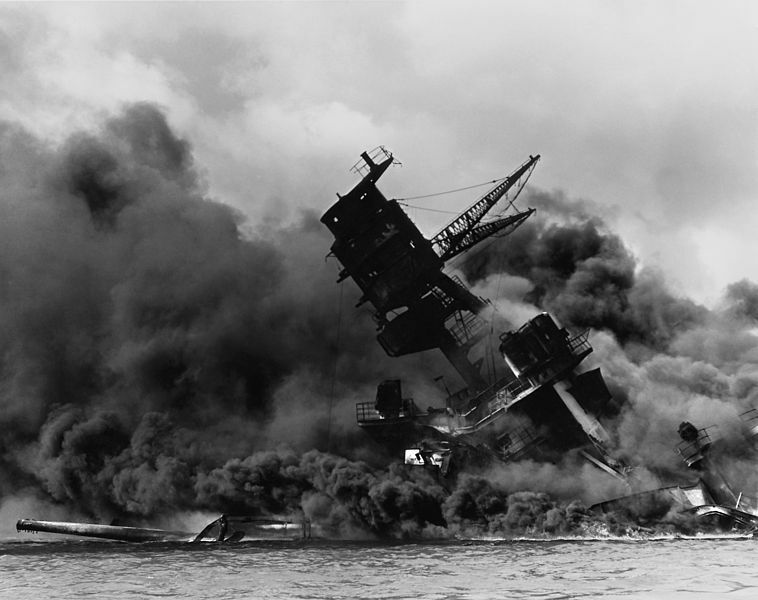 #1 – The attack on Pearl Harbor took place on December 7th, 1941. This date remains known as “Pearl Harbor Day” today. #2 – Although the Japanese aerial attack was successful, the Imperial Navy submarines failed to sink any of the damaged ships inside of the harbor. 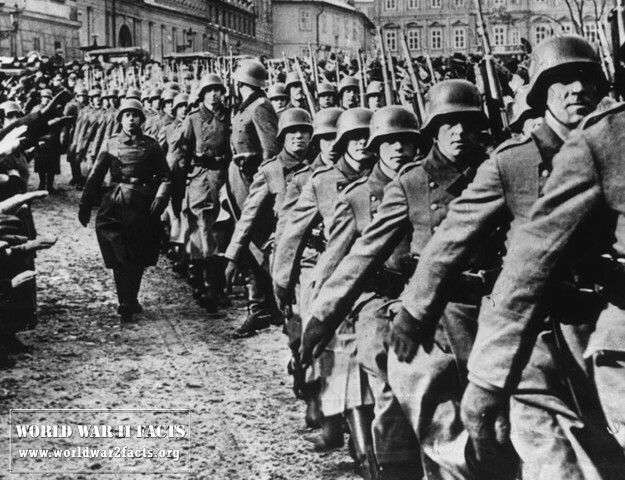 The attack took place on December 7, 1941. #3 – The Japanese were just as surprised as the Americans on how successful the attack on Oahu / Pearl Harbor would be. #4 – There are 23 sets of brothers who died onboard the USS Arizona (out of 37 total pairs or trios of brothers assigned to the ship). 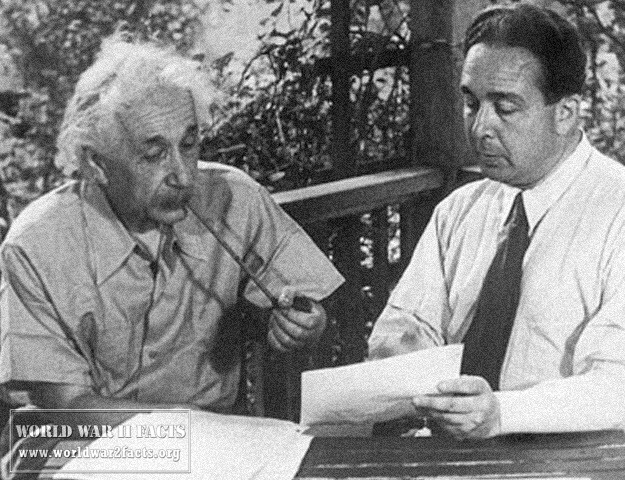 Only one full set of brothers survived the attack, Kenneth and Russel Warriner. attack Pearl Harbor during the morning of 7 December 1941. 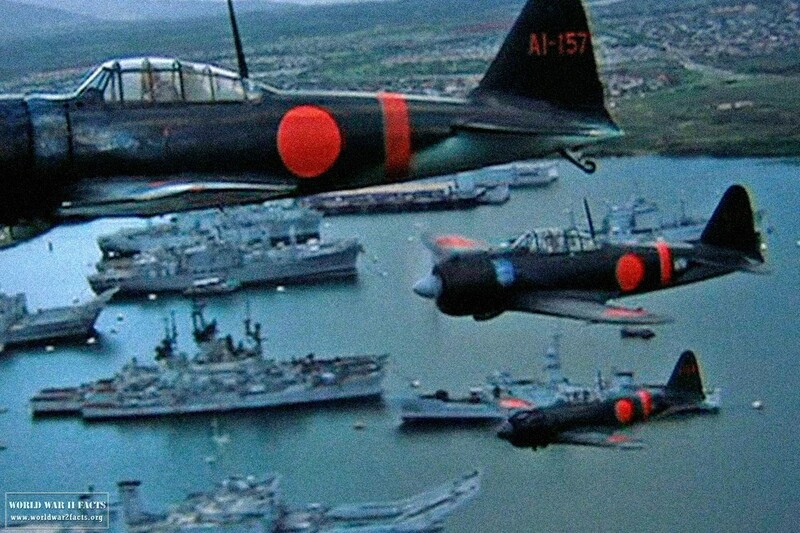 The aircraft was flown by PO2c Sakae Mori, 1st koku kantai, 1st koku sentai, and flew with the second wave." 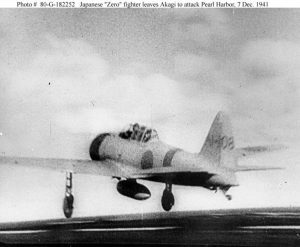 width="300" height="247" /> A Japanese Navy Mitsubishi A6M2 "Zero" fighter (tail code A1-108) takes off from the aircraft carrier Akagi, on its way to attack Pearl Harbor during the morning of 7 December 1941. The aircraft was flown by PO2c Sakae Mori, 1st koku kantai, 1st koku sentai, and flew with the second wave. total). The Arizona accounted for approximately half of all deaths from the attack with the ship being hit four times by Japanese bombers before sinking. This is the only time in American military history that an entire military band has been killed in action. #7 – Former USS Arizona crew members have chosen the ship as their final resting place. 4. Some former crewmembers have chosen the USS Arizona as their final resting place. The United States Navy has permitted survivors of the Arizona to be interred in the wreckage of the ship on their deaths. In these cases, the military member receives a full military funeral at the Arizona memorial. The cremated remains are then placed in an urn that is deposited by divers underneath the gun turrets of the ship. More than 30 Arizona crewmen have chosen the ship as their final resting place. For crew that served onboard the ship prior to the attack, the U.S. Navy allows them to have their ashes scattered above the wreck site. By the end of 2011, only 18 of the 355 Arizona survivors are known to still be alive. #8 – Elvis Presley helped get the USS Arizona Memorial built. Although the Pacific War Memorial Commission was established in 1949 to help create a permanent tribute to those who lost their lives in the attack on Pearl Harbor, it was not until 1958 that President Eisenhower signed legislation to create a national museum. The funds were a mix of both public and private money to include a benefit concert performed by Elvis at the Pearl Harbor Block Arena. The concert raised more than $50,000 that represented more than 10 percent of the total cost of the Arizona Memorial. The monument would be dedicated on May 30th, 1962 and sees more than one million tourists per year. #9 – The Imperial Navy attack force that struck Pearl Harbor was commanded by Japanese Admiral Nagumo. 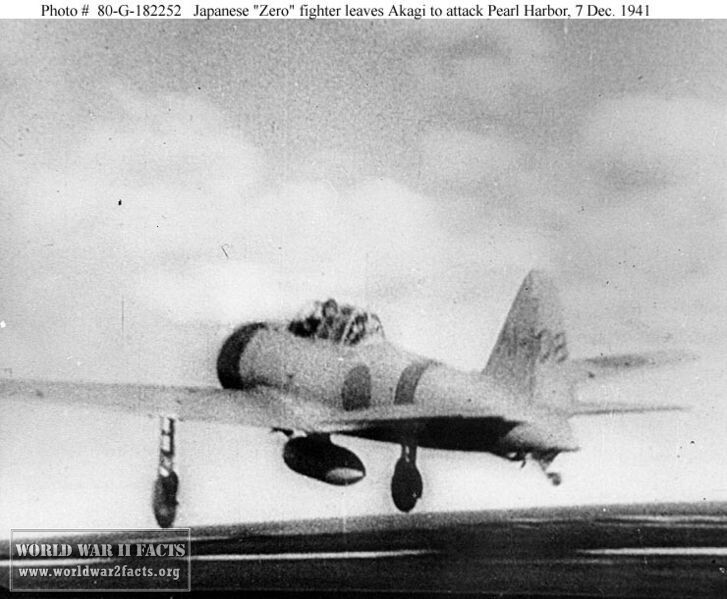 #10 – The first wave of Japanese attack aircraft took off at 0600 Hawaii time. In total, the two waves of Japanese aircraft would hit 18 United States Navy ships located in the harbor. 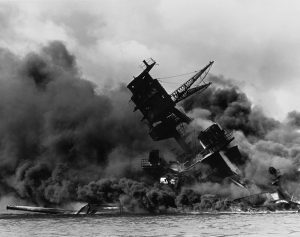 #11 – Then U.S. president, Franklin D. Roosevelt is attributed with stating that, “ December 7, 1941, a date which will live in infamy,” when talking about the attack against the United States at Pearl Harbor. #12 – American casualties during the attack included 68 civilians and 2,335 military servicemen. There were a total of 1,178 people injured during the attack. #13 – The American carriers, Lexington, Saratoga, and Enterprise, escaped damage from the Japanese attack since they were underway on December 7th, 1941. #14 – More than 180 United States military aircraft were destroyed during the attack. U.S. Navy sailors in a motor launch rescue a survivor from the water alongside the sunken battleship USS West Virginia (BB-48) during or shortly after the Japanese air raid on Pearl Harbor, 7 December 1941. USS Tennessee (BB-43) visible behind West Virginia. Note extensive distortion of West Virginia´s lower midships superstructure, caused by torpedo hits below. Also note 5"/25 gun, still partially covered with canvas, boat crane swung outboard and empty boat cradles near the smokestacks, and base of radar antenna atop West Virginia´s (BB-48) foremast. #15 – United States government officials were aware than attack from Japan was probable, but didn’t know when or where it would occur. #16 – The primary targets of the first wave of Japanese aircraft were the American battleships and airfield. #17 – The Japanese air rad lasted until approximately 0945 local Hawaii time. #18 – Anti-aircraft guns were initially unmanned due to Pearl Harbor not being in a state of high alert when the attack began. #19 – There is 10 square miles of navigable water in Pearl Harbor (located on the southern coast of Oahu) which is also the headquarters of the U.S. Pacific Fleet. #20 – The day after the attack on Pearl Harbor, both the United States and Great Britain declared war on Japan. #21 – The U.S. President at the time of the attack on Hawaii was Franklin D. Roosevelt. #22 – Due to the low state of readiness of the U.S. Navy and military in Hawaii, Admiral Husband Kimmel and General Walter Short were relieved of duty. #23 – Of the eight battleships struck by the Japanese during the attack, all but the Oklahoma and Arizona were ultimately repaired and returned to service during WW2. #24 - When the United States Congress voted to declare war on Japan, the only vote against the action was Representative Jeannette Rankin of Montana. Attack on Pearl Harbor 1, Nippon News, No. 82. in the official website of NHK. Last accessed on April 21,2013. Attack on Pearl Harbor 2, Nippon News, No. 84. in the official website of NHK. Last accessed on April 21,2013. Guarding The United States And Its Outposts, in Guarding the United States and Its Outposts Official U.S. Army history of Pearl Harbor by the United States Army Center of Military History Last accessed 21 April 2013. U.S. Naval Heritage Attack on Pearl Harbor Overview, last accessed April 21st, 2013. War comes to Hawaii Honolulu Star-Bulletin, Monday, September 13, 1999, Last accessed 21 April 2013. Video of first Newsreel from December 23, 1941 attack on Pearl Harbor, Last accessed on April 21, 2013.